AC Connecticut is pleased to announce the acceptance of our boys youth program into the National Premier Leagues (NPL) for the 2019-20 season. Starting this fall, AC Connecticut teams currently competing in the New York Club Soccer League's (NYCSL) Metropolitan Division will be moved up to the NYCSL-NPL Division. The NPL Division is the top tier of the NYCSL and part of 20 leagues across the country that make up the National Premier Leagues. These have been created to provide a national developmental platform with the highest level of competition in given geographic areas, and to elevate and change the competitive youth soccer landscape based upon fundamental principles in US Club Soccer's vision. "The acceptance into the NPL for our boys' program will be a great next step in our young journey," AC Connecticut General Manager Robin Schuppert said. "This is a huge testament to the staff of coaches and players our Director of Coaching Antony Howard has assembled over the past 5 years as well as the addition of Steve Carneiro & Brad Jeeves and their coaches and players this past summer." "We would also be remiss not to mention our partner, Danbury Youth Soccer Club. The resources which have been made available to us - from coaches, players, facilities and philosophies - have been invaluable. This growing relationship has and will continue to play a major role in the growth of both clubs." 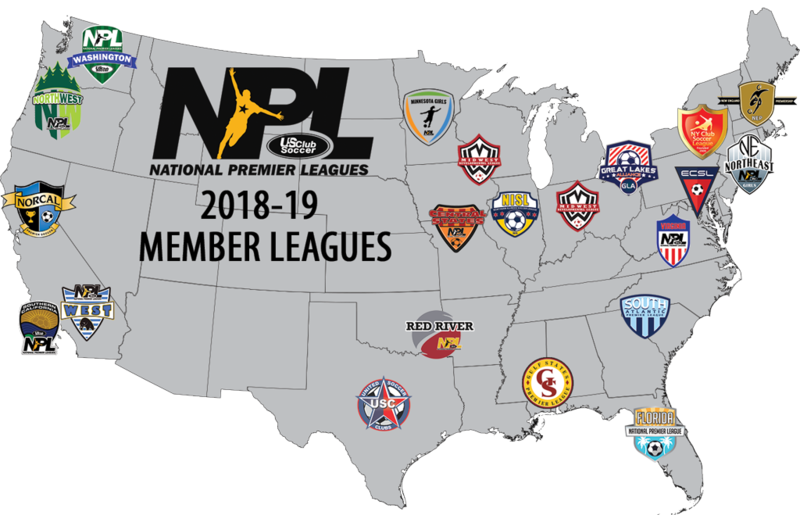 The NPL consists of 20 member leagues for the 2018-19 season from all across the United States. Membership in the NPL is a club commitment, with high expectations for professionalism, quality and operational efficiency. Gary Grossman, President of the NYCSL, worked as the liaison between AC Connecticut and the NPL and played a vital role in facilitating this move over the last few years. Currently, the AC Connecticut U15 girls team is competing in the "team-based" NPL division of the NYCSL. Grossman will work with AC Connecticut this summer to add additional girls teams to the "team-based" division with the goal to obtain girls club NPL status in the next few years. The NPL is a member of US Club Soccer, which fosters the growth and development of soccer clubs in order to create the best possible environment for players of all ages. US Club Soccer is anchored by five pillars: Club Development, Coaching Development, Player Development, Parent Engagement & Education and Player Health & Safety. Club tryouts for the 2019-20 season will once again be held in conjunction with Danbury Youth Soccer Club at the end of May, early June. Specific dates, times and registration information will be announced in the coming days.